The Bronx Zoo's annual Boo at the Zoo Halloween celebration has become a tradition for New Yorkers, and rightly so. On weekends in October, families can enjoy a variety of Halloween-themed activities. Boo at the Zoo is a great time to enjoy a weekend outdoors while the weather is still fairly warm and to get some extra chances to wear your Halloween costume. If you're planning a visit to New York City in October, make sure you carve out some time for this beloved event. What's There to Do at Boo at the Zoo? In addition to visiting the zoo's creepy critters such as bats, spiders, rats, and owls, there are many Halloween activities for the family to participate in. Check out the musical performances, haunted forest, hayrides, corn maze, spooky stories, face painting, magic shows, pumpkin carving, crafts, and a costume parade. There's also an eerie graveyard of extinct animals—may they rest in peace. 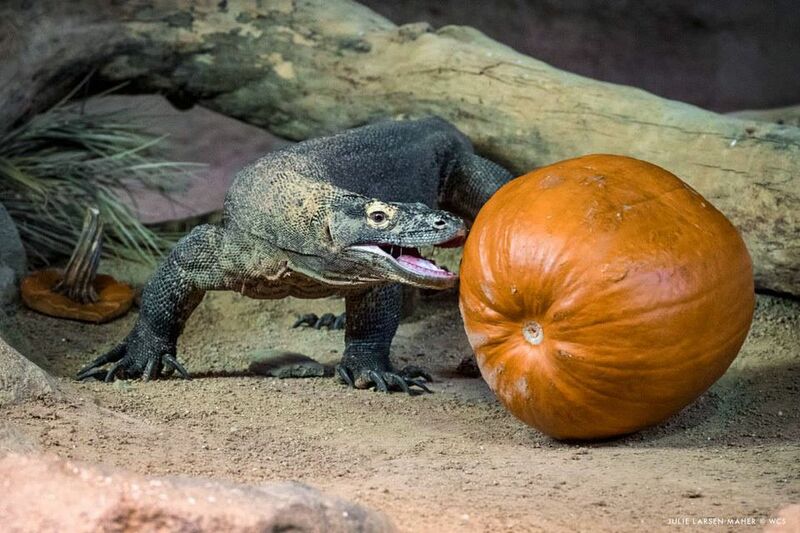 Select areas of the zoo are also available for trick-or-treating. Those 21 and older will appreciate a chance to try some new beers at Bootoberfest. There's also an after-hours, adults-only event called Spooktacular Night Walk. During this ticketed event, you get to stay after everyone leaves and enjoy drinks and appetizers. Then as the sun sets, you'll go on a guided night walk to see what happens after everyone leaves each day. When Is Boo at the Zoo? This special Halloween event is held annually on weekends in October. The zoo is open from 10 a.m. to 5:30 p.m. on weekends in October. How Do I Get to Boo at the Zoo? The Bronx Zoo is located at 2300 Southern Boulevard near East Fordham Road and the Bronx River Parkway. How Much Does Boo at the Zoo Cost? Most Boo at the Zoo activities are included with zoo admission. Tickets cost $36.95 for guests 13 and older, $26.95 for children ages 3-12 and $31.95 for seniors 65 and over. Admission is free for zoo members and children 2 and younger. Military and student discounts are available. With 265 acres of wildlife habitats and attractions, the award-winning Bronx Zoo in New York City is the country's largest metropolitan zoo as well as one of the world's largest zoos. Opening in 1899, the Bronx Zoo is currently home to more than 4,000 animals that fall into more than 650 species. The zoo has more than two million visitors a year. Featured animals include sea lions, penguins, polar bears, butterflies, lions, tigers, zebras, giraffes, gorillas, and reptiles. Popular exhibits include Congo Gorilla Forest, Himalayan Highlands, Tiger Mountain, World of Reptiles, and JungleWorld. There's also a children's zoo where kids can pet the goats, sheep, and donkeys. For more details about the Bronx Zoo during Halloween, visit the Bronx Zoo's website or call 718-220-5100.